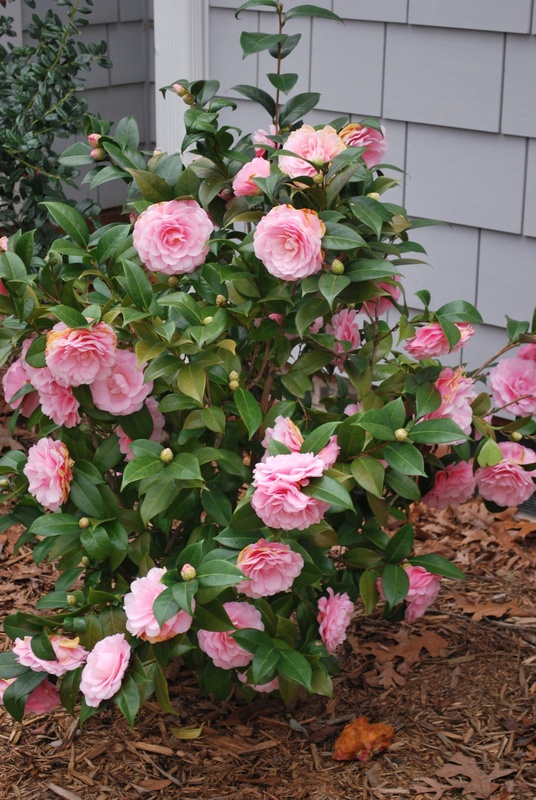 Right after Christmas, my camellia looked ready to bust out in gorgeous blooms too numerous to count. One perfect bloom had even opened up. But then came the coldest weather we’ve had in years. The buds stayed tightly shut and browned a little at the tips. 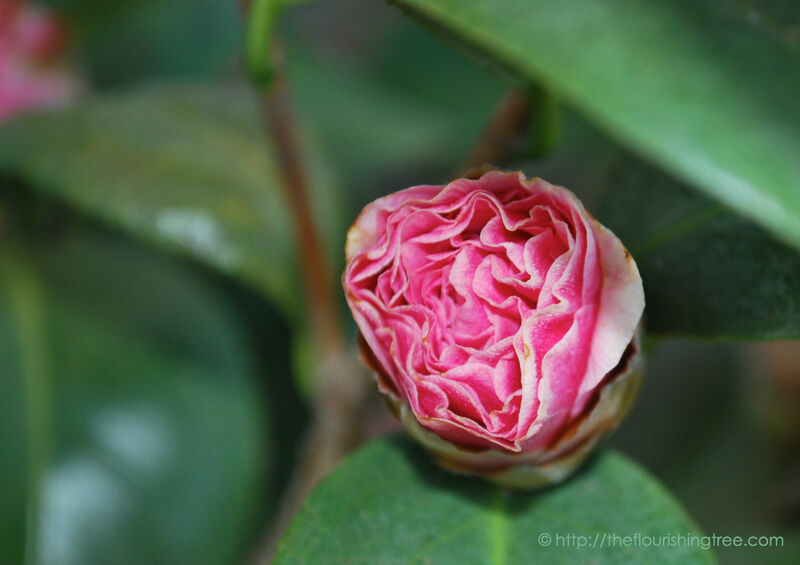 I thought the camellia buds would stay like this until I plucked them off. The one above, tucked toward the house and away from the harshest of the winds, managed to avoid browning much at all. Even the ones with browner tips, though, make me happy as I see them open one after another. I think they’re all beautiful, brown bits and all. I can relate well to these late bloomers in my garden. I’ve always thought of myself as a late bloomer. My teenage years felt like torture while I waited to catch up with my friends. I’ve had a few career starts and stops and redirections while trying to discover what path I was supposed to be on. My marriage came later than most of my friends, though not as late as some (I had a great aunt who married for the first time just before she turned 60!). I was even a late bloomer when it came to running, an integral part of my life now that I hope to continue for the rest of my life. I’ve been quiet on the running front on my blog lately, mostly because of a nagging injury which is healing after I finally admitted I needed to try something different. A great physical therapist, discipline when it comes to the stretches and exercise she gives me, and a new way of running seem to be the right recipe. I am improving, and I am getting faster in the process (bonus!). I often wonder how my running life might have gone differently if I had started when I was younger and thinner and free of injury. By the time I started running in my early thirties, I had already sprained a toe (for which I blame Riverdance and my barefoot attempts to follow along in my carpeted living room), and I had struggled with weight gain. But what if I had used the injury and extra weight to keep me from trying to run at all? What if I had let myself believe I was too old to pick up a new activity? I might never have started running, and then, I might never have discovered the beautiful things in me that running has helped me see. The discipline. The courage. 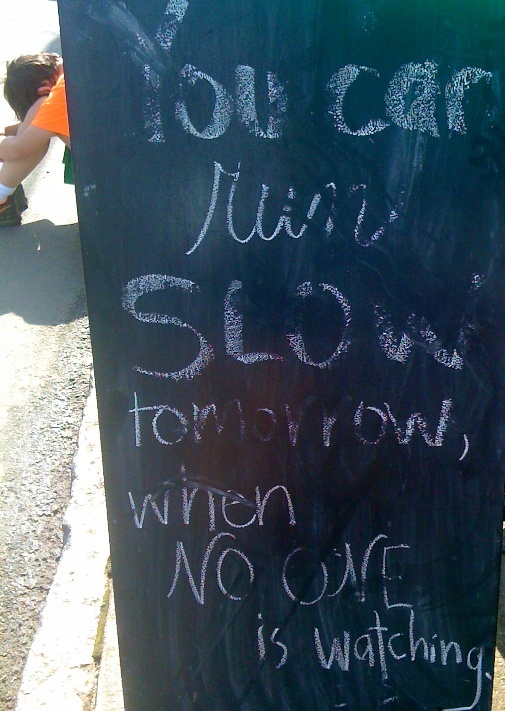 The stubborn streak (oh, wait, I think I knew about that one before running.). The mental toughness. The physical strength. I might never have understood the community – and the camaraderie – of runners. I might never have visited some of the beautiful places I’ve encountered on my runs. I might never have shared my love of running and the ways it has made my life immeasurably better with the girls I coach. I would not have been the me I am now. 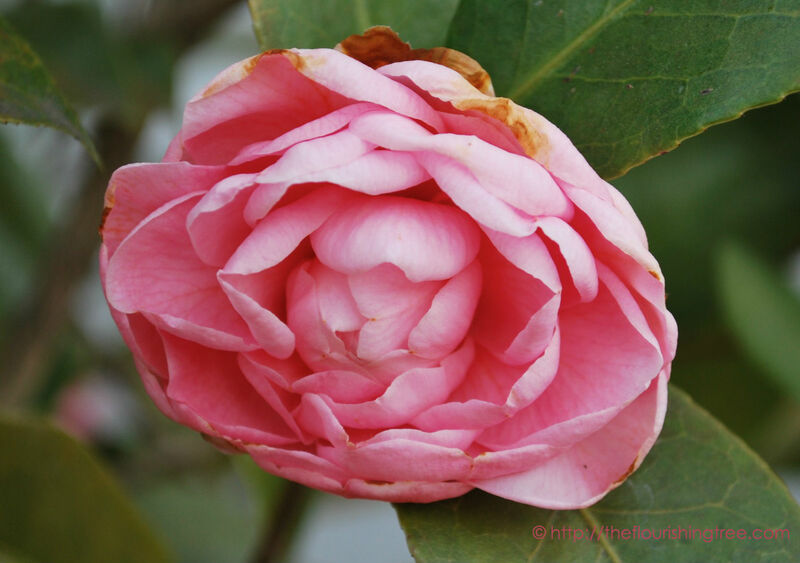 So to those of you who feel like late bloomers, who feel like that tightly closed bud on the camellia bush that may or may not open, I say to you: Let yourself bloom. Don’t ever let anyone convince you it’s too late to bloom, or that you’re too damaged or imperfect. When you bloom, you’ll see: you will be beautiful. 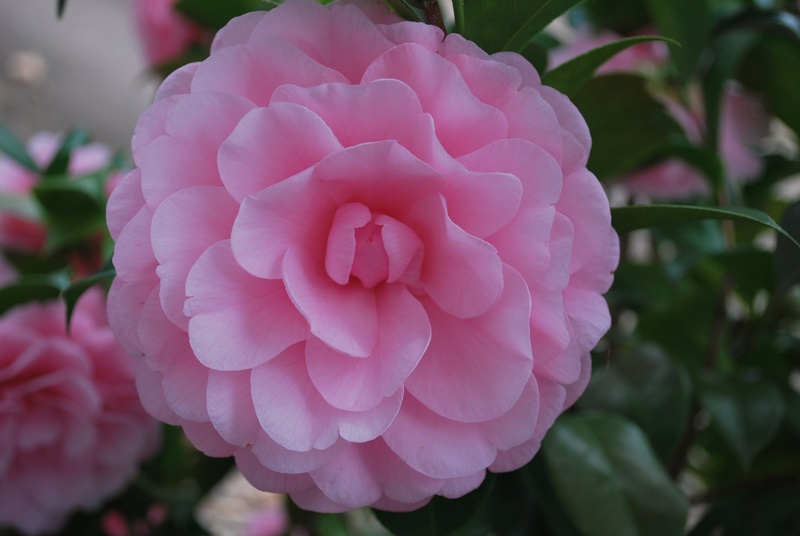 Are you a late bloomer in some area(s) of your life? 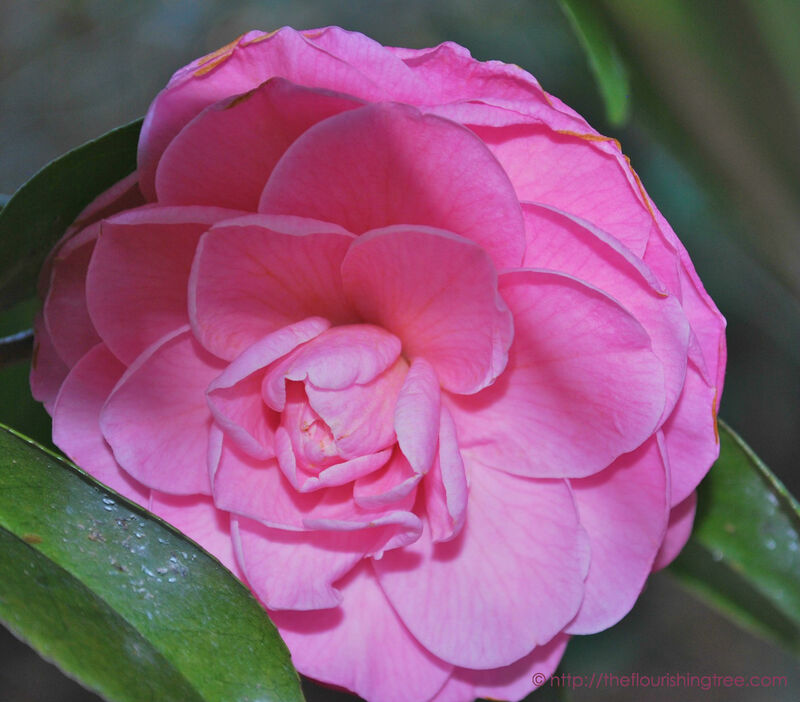 Are you afraid of what might happen if you bloom imperfectly? Did this post inspire you to try something new? I’d love to hear from you in the space below.